Do You Feel Like You Are Doing All Ministry Yourself? If you are holding ministry so tightly your hands have lost all the color in them, you are killing ministry for everyone else. Solution: Remember Ministry is meant to be shared. You are not a great steward if you are doing ministry alone, you are a ministry hoarder. Authentic, godly leadership places its focus on equipping God’s saints for service. 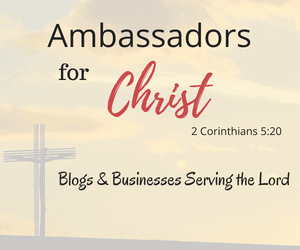 We don’t do this to puff up ourselves or our ministry but to more effectively carry out the will of our Father and expand His Kingdom to perform the mission Jesus entrusted to His followers. Letting go of the ministry reigns does not come without risk and fear of ministry being done in a manner that is not acceptable to the leader. The other side of that coin is that it is possible that ministry will not be done the way you would do it, but it could be done in a way that will bring glory to God that you could never have imagined. Here is a great illustration of that. An elderly widow, restricted in her activities, was eager to serve Christ. After praying about this, she realized that she could bring blessing to others by playing the piano. The next day she placed this small ad in the Oakland Tribune: “Pianist will play hymns by phone daily for those who are sick and despondent–the service is free.” The notice included the number to dial. When people called, she would ask, “What hymn would you like to hear?” Within a few months, her playing had brought cheer to several hundred people. Many of them freely poured out their hearts to her, and she was able to help and encourage them. Do You Believe All the Ideas for Ministry Should Come from the Top? Solution: Acknowledge the fact that your people have excellent ideas too, learn to listen to them. Leadership Insight: Christians are tired of just sitting around, being Lawnchair Larry and Louise. Leadership is more than just having talents and imploring the proper techniques; it is humility and caring for those we’re leading. And to care for them means to recognize that they have value, insight and have been gifted by God for service in his Kingdom. You are not the only expert in the church. And nowadays, you are not always the best-trained person in the building. Notice the images Paul describes of a leader in I Thessalonians 2, verses 7 and 11: ‘‘We were gentle . . . As a nursing mother . . . As a father.’’ In verse 9, Paul says he supported himself on behalf of the church. If we’re going to be leaders in God’s service, it can’t be done from a distance. We must lower our defenses and love people for Christ’s sake. That means letting go of ministry. Letting go makes us vulnerable. That means when attacks come it hurts more, but that is the high cost of leadership. It is easier not to lead but doesn’t the mission of God, and his sheep deserve all our best? And isn’t ministry better when you do it alongside your people? May God provide you the courage and the strength for you to lead. The church needs leaders, so lead boldly, courageously, and missionally. Thanks for the post, good insights to share with your readers. Thank you Sister and have a blessed day. Amen! I love this. Words of wisdom indeed. That maybe a great follow-up stinky sponges. these are great leadership tips no matter what spiritual path one takes. Taking other people’s ideas into considering is wise of any leader. Blessings! I think these approaches to leadership can be applied and examined not just in the church, but in all types of organizations. Well written! You have shared some really great insights about leadership. I appreciate it. Keep up the good work. Leadership is my passion. Thank you! I am not a Cristian so this is totally new to me. It;s always good to read something new and unique. Keep up the good work! If you ever have questions about faith or a topic you want me to write about to better help you understand faith and Christianity let me know. Be blessed and know your are loved by God. This is a great read. Not a christian but it’s good to learn something new. I had to rethink my approach towards leadership after reading the post. I realised our uniqueness is good for leadership but it is not absolute. I am glad it caused you to contemplate new ways to lead. Leadership is my passion.